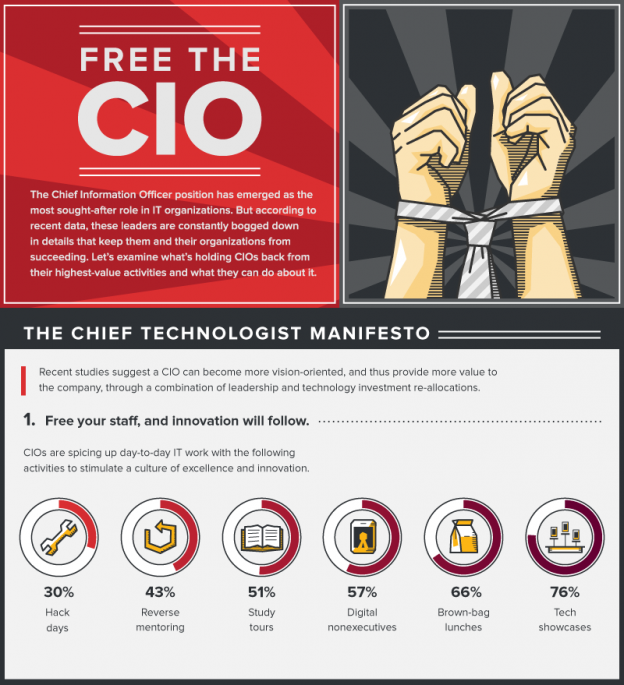 Infographic: What’s Holding CIOs Back? Our latest infographic at work takes a look at latest research into what hinders and holds back the world’s CIOs. If you guessed busy work, too many details, and general organizational friction – you’re right. This entry was posted in General and tagged apache solr, cio, cto, enterprise search, search technology, solr on February 3, 2015 by Andy Wibbels.